In the late 1600s, Louis XIV assigns Nicolas de la Reynie to bring order to Paris after the brutal deaths of two magistrates. 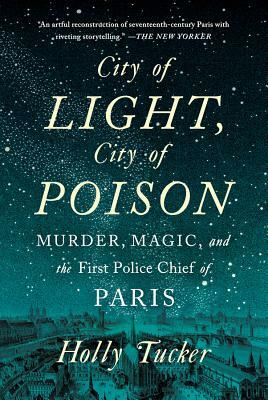 Reynie, pragmatic and fearless, discovers a network of witches, poisoners, and priests whose reach extends all the way to the king's court at Versailles. Based on court transcripts and Reynie's compulsive note-taking, Holly Tucker's engrossing true-crime narrative makes the characters breathe on the page as she follows the police chief into the dark labyrinths of crime-ridden Paris, the halls of royal palaces, secret courtrooms, and torture chambers.